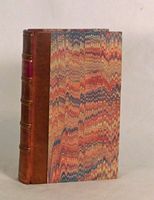 Printed by the Assigns of R. and E. Atkyns [etc. ], London, 1696. Printed for Benjamin Harris, at the Stationers Arms [etc. ], London, 1681. Printed by K.P. for C.R., London, 1679. Only edition of Shaftsbury's unsuccessful attempt to secure his release from the Tower of London on a writ of habeas corpus, "a very powerful argument . . . den[ying] . . . commit[ment] to indefinite imprisonment on a general warrant"
Printed by John Nutt, Assignee of Edward Sayer [etc. ], London, 1710. Printed by E. and R. Nutt, and R. Gosling [for three others], London, 1736. For J.J. Franklin (Grand Nephew to Dr. Franklin) [etc. ], London, 1817. Printed for, and are to be sold by Thomas Basset [&c]. Wing C4859, London, 1670.